Ready to buoy 2017 List equipment:-Two tagliacime-second command windlass with chain-outdoor cushions-tents dinette with blinds-N° 1 electric toilet-220V electrical outlets-Fusion Audio Pack with Bluetooht 4 sp. 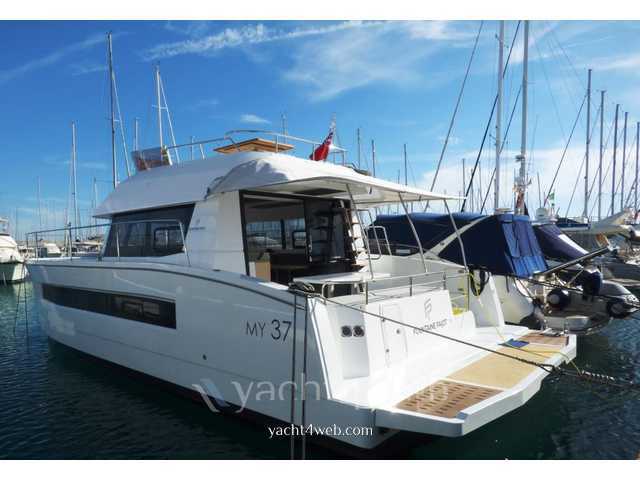 -Bow sundeck cushions on additional seat outdoor cushions flybridge-helm flybridge-external-Interior courtesy lights courtesy lights-deck shower (cold/hot)-12 V outlets and outdoor waterproof-2000W Inverter/Charger 220V 50 HZ-220 HP engine 2 VOLVO D3-internal helm Station. -Carpet hulls for master-Carpet Version dinette-Bimini per well-cockpit table-Table on flybridge-Stern Guards for vessels-fixed bathing platform.